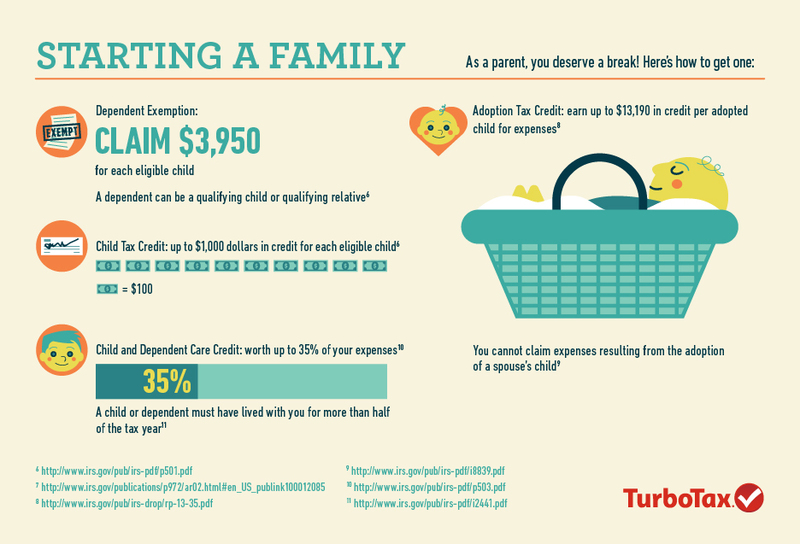 When it comes to taxes, life events can conjure up questions about what tax deductions and credits can be claimed by new parents, but don’t worry TurboTax has you covered. We have created a life events infographic series to help answer your burning questions and help you save money when you sit down to file your taxes. Check out our first infographic in our five part infographic series that tells you how to save on your taxes when it comes to starting a family.